Spelling. Are you looking for spirochaete? What does spirochaeta mean as a name of something? View more phrases with the word Spirochaeta in thesaurus! Spirochaeta is a genus of bacteria classified within the phylum Spirochaetes. Bacteroides fragilis is a Gramnegative bacillus bacterium species, and an obligate anaerobe of the gut. B. fragilis group is the most commonly isolated. Family Spirochaetaceae includes the free-living Spirochaeta spp., the parasitic Borrelia, and the commensal, parasitic, and symbiotic Treponema spp. Family Serpulinaceae are bacteria that colonize the lower intestinal tracts of mammals. called spirochaeta pallida) assume new virulence, and attack the nervous system — usually the posterior column of the spinal cord. Not infrequently, the optic nerve is also affected, developing what is known as gray atrophy of the nerves. 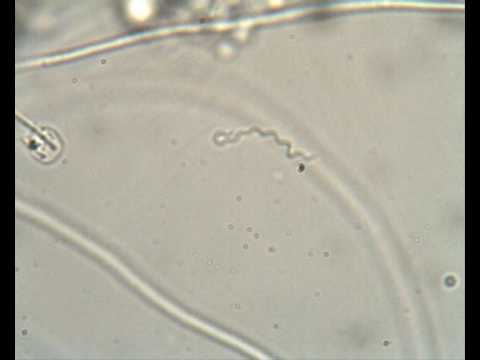 Spiro-bacteria, or spiral forms (spirillum, spirochaeta). The spirochaeta found in the blood of patients in this disease has been already spoken of. The organism generally appears in the blood soon after the occurrence of the fever, disappears quickly after the crisis, and recurs with the relapse. Spirochaeta d nticola, Spirochaeta dentium. Found under the margins of the gums in the mouths of healthy persons; biologic characters unknown, as it does not thrive in culture fluids. See also the blanagrams of Spirochaeta! Go to the thesaurus of Spirochaeta to find many related words and phrases!